Why Should You Hire Professional Painters for Your Home? Have you looked around your home recently and realized it needs a fresh coat of paint? Before you head to the local hardware store to buy the supplies to do it yourself, consider hiring professional painters to do the job for you. There are some obvious reasons to hire professional home painters, but there are others you might not have considered. To help you out, we’ve compiled a list of reasons to hire professional painters for your next home painting project. What many homeowners don’t realize until they start painting their walls is that it takes a lot more time than they realize. Apart from painting the walls with the new color you’ve selected, you have to tape off molding, fill and sand holes and lay down plastic. Once you’ve done all this, then you can start painting the walls with one to four coats of paint depending on the color you’ve selected. You’ll spend time on each coat plus the time for allowing each coat to dry in between. Instead of painting your home after your full-time job, you can hire a professional painter whose job it is to do all these steps. Painters are craftsmen who care about the quality of their work. Pro painters have considerably more experience in painting walls and know how best to prep them to keep them looking fresher for longer. In addition, they use high-quality primers and paints which contribute to the paint’s longevity. When the pros are finished, they’ll make a detailed sweep of your home. A great professional will check for any errant paint and that the walls look perfect. Hiring professional painters not only saves you time, it also saves you money because you don’t need to buy painting equipment. Painters will show up with the necessary tarps, rollers, and caulk to get the job done well and efficiently. Being properly equipped is particularly important for exterior home painting, which requires ladders and safety equipment. When you hire professionals to paint your home, you’re hiring a company that’s licensed and insured to do the job. Not many people consider the importance of insurance when they paint their homes themselves. If you damage your home, your home insurance might cover some but not all of the damage. 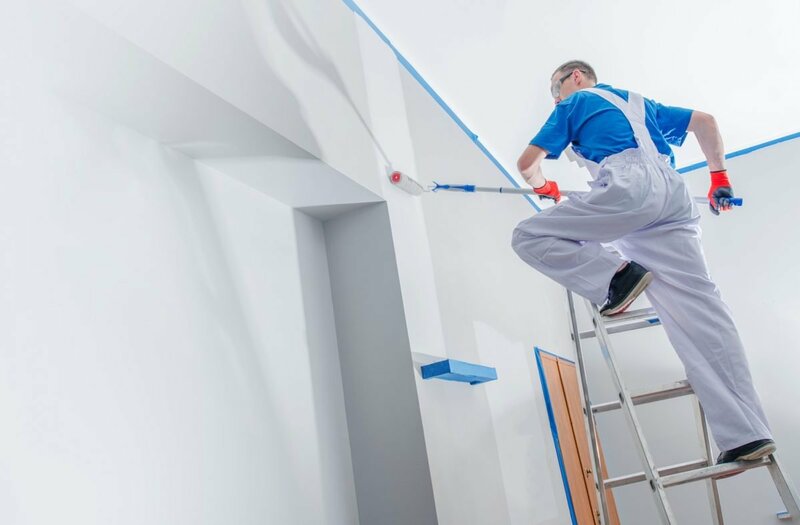 Having licensed professionals do the job means your home is covered if any accident happens while they paint. When you evaluate a professional painter, you should ask each to provide their license and proof of insurance. When you hire professional painters, the time you save practically pays for their service. Not to mention the money you save on not needing to purchase the painting equipment. There’s also the added benefit of not needing to clean up when you’re finished with the project! The pros do that for you. If you have questions about hiring professionals for painting the interior or exterior of your home, get in touch with us today.